1. Do remember disconnect internet when you use this tool. Do not use the device do truck vehicle above 12V, otherwise it will cause the device burnt. from us, 18EUR each piece free shipping via regular airmail. 2) If you don't know how to change chips for Kess v2, you need to send back the main unit for repair. 3. If you had installed Kess v2, and need to reintsall the lower verion, please use J-link Adapter refresh the CPU and TF card, then install the lower version software on another computer. How to update to Kess v2 ? 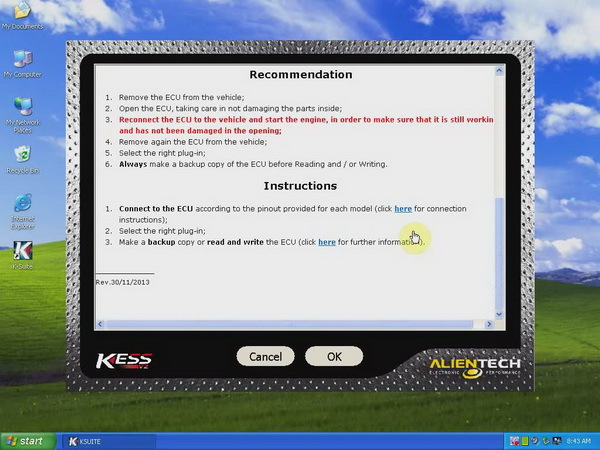 Q:When I use KESS V2 to program the new ECU, I met this problem, you can install and open the software. But when you use the software to program new chips, it will prompt you “wake up error”? How to solve it? A: This problem happened because your TF card has lost one program. Please download this TF card repair software , then replace your TF card software(please do formatting TF card steps first, then use the download software. If you can’t download the software, please contact us online, we will send you the software online. If you follow the steps, your KESS V2 will work normally. Q: What should you pay attention to use this software ? 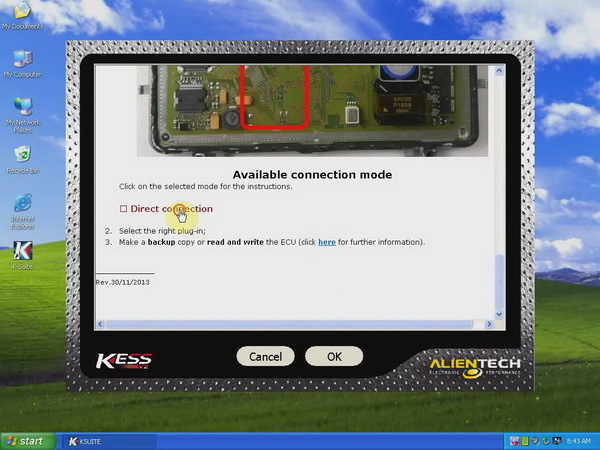 A: DO NOT CONNECT the internet with your laptop when you install or use KESS V2. Because it will prompt you to update the KESS V2 software while KESS V2 software cannot be updated online. Please pay attention! Q: When update the kess v2 it appears error, how to resolve? A: In this case, you have to replace the old cpu chip ( dealer price 19EUR without shipping fee), if you don't know how to replace it, you can return the device host to us for repair. If you have ordered the kess v2 from our website, please don't update the software by yourself, otherwise we will not buy for the damage cost. Please understand. Q: What is difference between kess v2 and ktag? A: About the kess v2 and ktag, they includes almost the same software, except the kess supports OBD, but ktag doesnt. kess v2 has No Token Limitation now. The tokens limits depends on the device hardware, but not the ksuite software. Q: What is difference between fgtech v53 and kess v2? 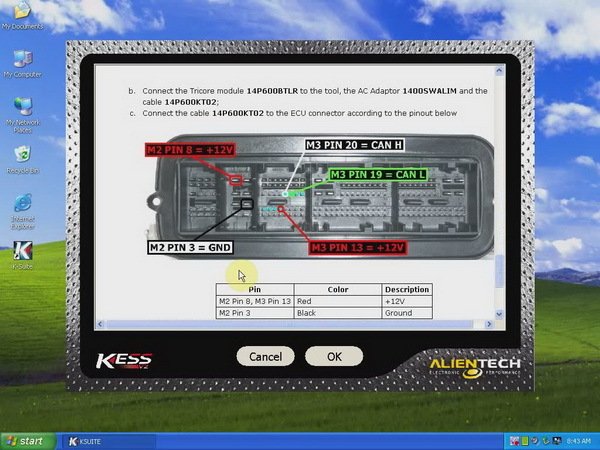 A: About the fgtech v53 and kess v2, they both supports most car models except the operation are different. Some customers respond that the fgtech v53 can do trucks, while kess v2 can't do trucks. And fgtech support bdm function, but kess v2 doesnt. kessv2 includes the security lock combined with mediation module, it can do more new encryption cars, which the fgtech cant do that. KESS V2 FAQ about Installation and Usage, basic information of kess v2 software language, version and OS requirement, etc. Attention: Please do not update this tool online. Please do remember disconnect internet when you use this tool. Do not update it online or it will damage the tool. How to Solve KESS V2 Wake up error ? 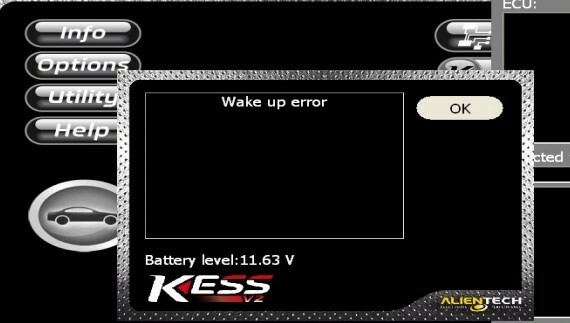 If you get "Wake up error" when running Kess v2 as the following picture shows. Kess v2 fails to read out TF card program or the program in the TF card is not working properly. 2 reasons for Kess v2 fails to read out TF card program. 1) The four pins of chip are not soldered firmly on the main board. 2) The chip is loose for a long time of use. 1) Solder the chip once more to make it tightly connected to the main board. 2) Clean up the shrapnel on the card slot with a brush. 3) Lift up the shrapnel a little bit to make sure it can well communicate with the TF card, if the card slot shrapnel is not flexible enough. 4) Clean the TF card and then put it back to the card slot. If the wake up error stays, format the card and then copy the software back to the card. It is easy 3 basic steps, pay attention to the important note. Q: Where to download KESS V2 driver? A: When read the ECU, it appear the checksum error, try to google the file c + + 2005 library, and then install it, the problem will solve. Q(1): How does KESS V2 checksums work? Does KESS V2 automatically confirm and rewrite? Does KESS v2 work with truck? Such as: Mercedes MP1/MP2/MP3 or MAN TGA. A(2): After reading the software, kess v2 will automatically calibrate checksums. KESS V2 doesn't work with truck, because the truck voltage is too high and KESS V2 will be burnt out. Q(2): Then K-tag work with truck? Q: when I use KESS V2 and choose the version 12, 8L E4, type D13B, HP 400, ECU TRW EMS2, "OK" button is not available. A: "OK" button not available means KESS V2 doesn't support this car model. Besides, KESS V2 only covers car models, not trucks. Q: After I open "KSuite.exe" and ready to run KESS V2, all of the following icons are gray and locked, I can't go on. A: it means it doesn't Found New Hardware, back to check whether the driver is installed successfully. Advice you contact us to send you KESS V2 video tutorial. Q: KESS V2 has error "Connections not established"
A: The driver is not successfully installed, go to "Device Manager" to check whether it has KESS V2 driver? Advice you contact us to send you KESS V2 video tutorial. Q: What's the difference between KTAG and KESS V2? 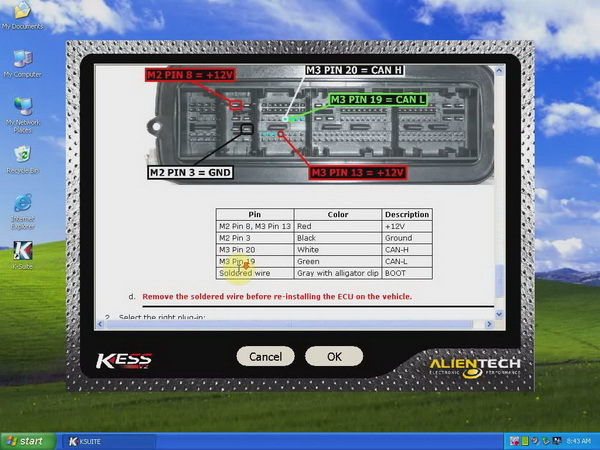 A: KTAG and KESS V2 share the same software, but KESS V2 has OBD function (means KESS V2 program ECU by OBD diagnostic cable) while KTAG doesn't have. Q: What's the difference between KESS V2 and FGTech Galletto 2? A: Both KESS V2 and FGTech Galletto 2 work with a number of cars, but they program ECU via different ways. Fgtech program ECU by BDM (in another word, FGTECH has BDM function), but KESS V2 doesn't support, Kess V2 has Anti-mediation lock module, it is better in working with new and encrypted cars than FGTech Galletto 2. Q: Besides French, what other language KESS V2 is available? Q: Is yours KESS V2 master or slave? If slave, how it works? Do file have to decrypted/ crypted etc when reading and writing or how it's different than master one? Q: Kess V2 describes "9. Full integration with ECM Titanium" but I didn't find it has ECM Titanium. A: KESS V2 doesn't support remapping the ECU. When it appears Kess V2 Software external exception eefface error, please do not update this tool online. Close the network before install the software and use the device. Do not use the device do truck vehicle above 12V, otherwise it will cause the device burnt. Attention: KESSV2 needs no activate. If the error 2 or 3 happened, please take the machine apart and soldering with 100k resistor, which means connecting a resistance of 100 k between 1 and 2.